many.link is a Brainbow product. 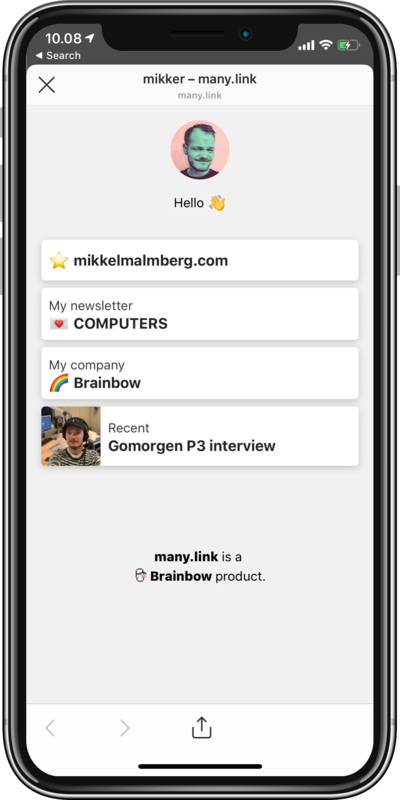 many.link puts all the links you want to share on one simple, pretty page — so you only have to share that. Your followers will never miss one again.